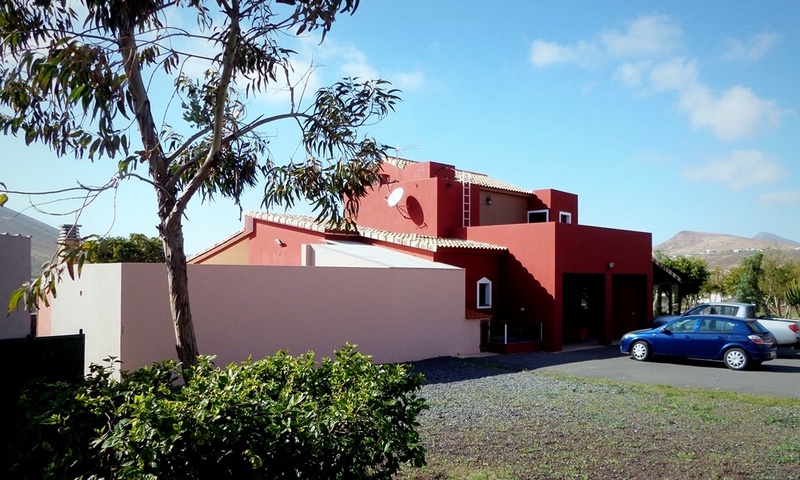 The house, 354 square meters of total built area, was built on a plot of 3838 square meters. 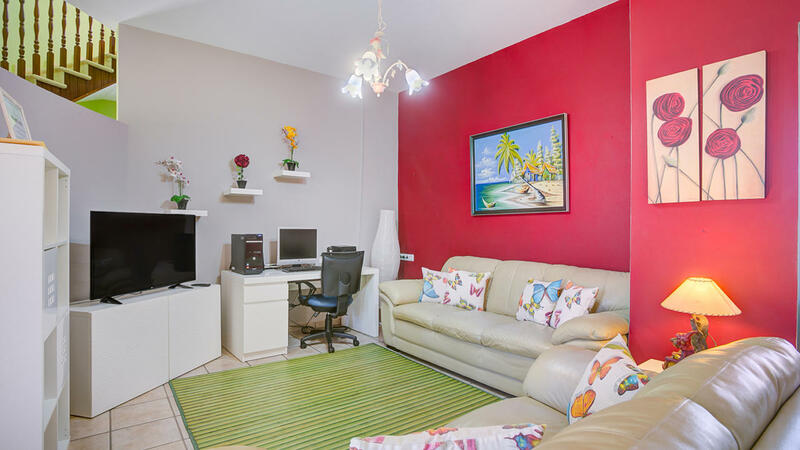 It has a very nice relaxing area with patio and swimming pool in front of the living room and a beautiful garden with ornamental plants and fruit trees. 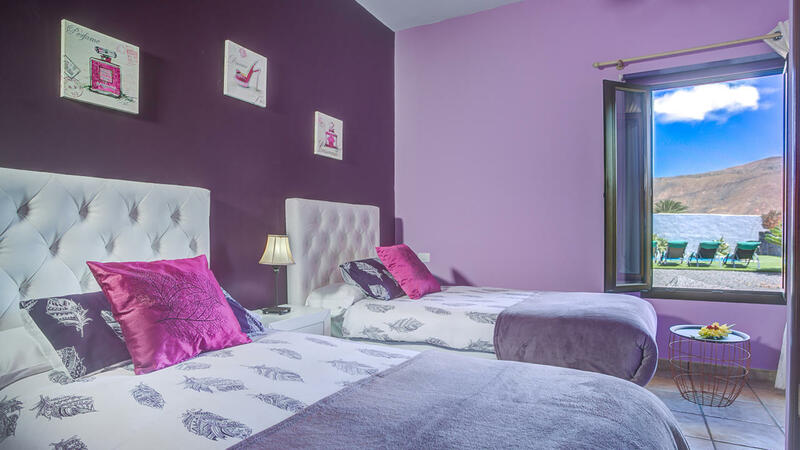 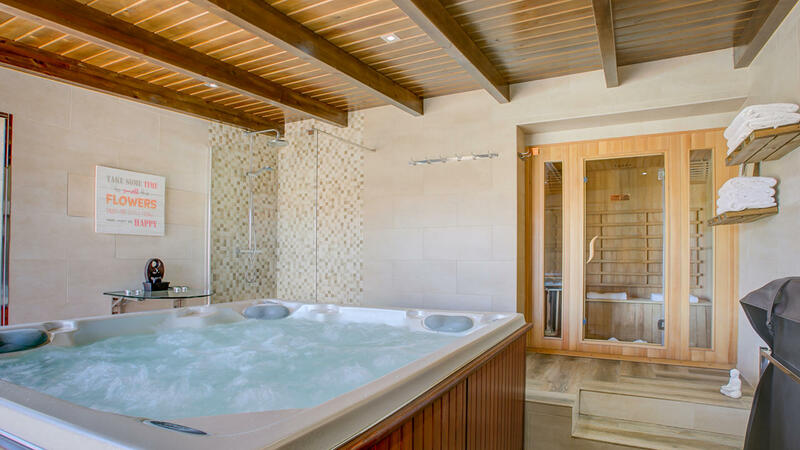 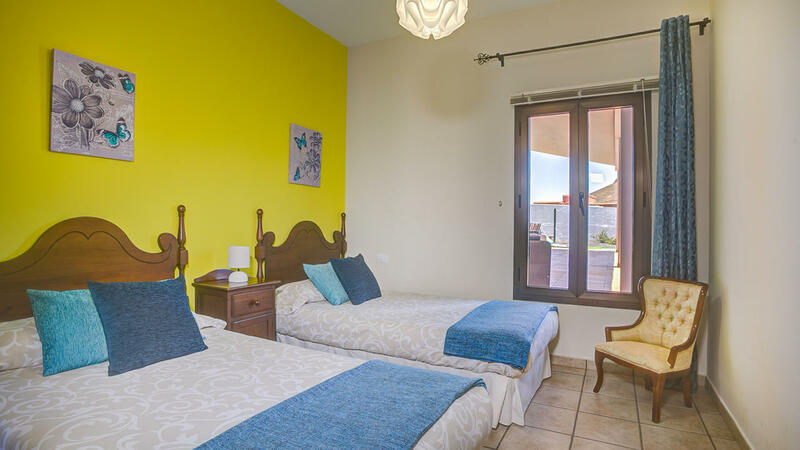 on the first floor, there is a large bedroom with hardwood floors, a living room, large fitted wardrobes, one nice bathroom and three large terraces with panoramic views of the hills of Tetir. 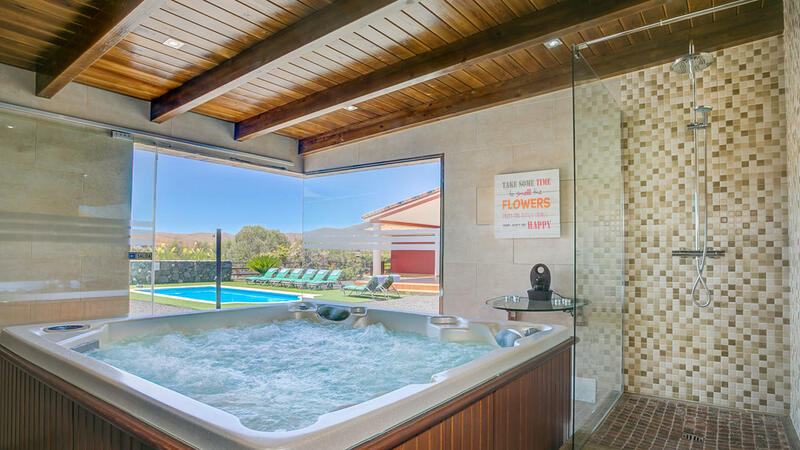 In the large garden, there are some utility rooms, a two-car garage, a barbecue and a room with a sauna, jacuzzi and a shower. 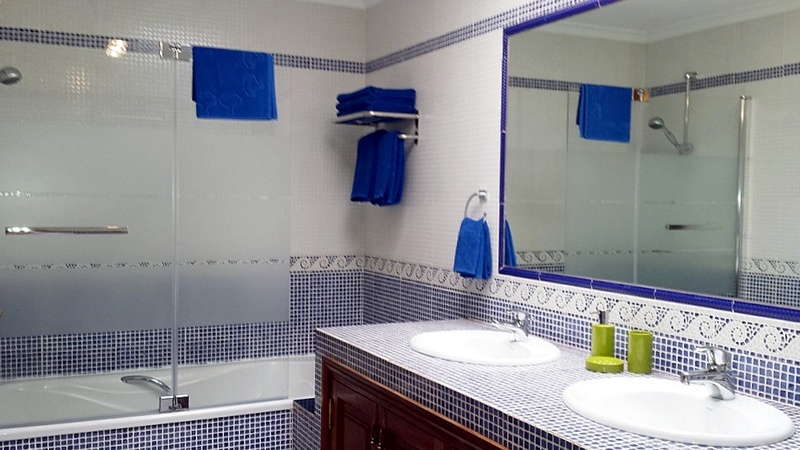 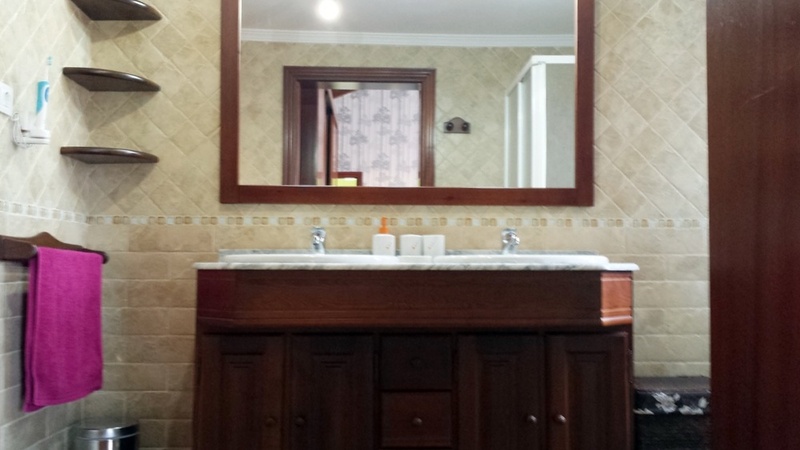 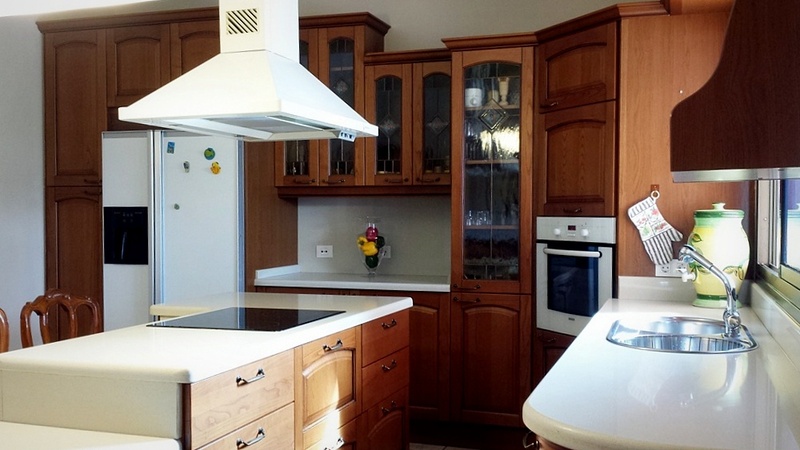 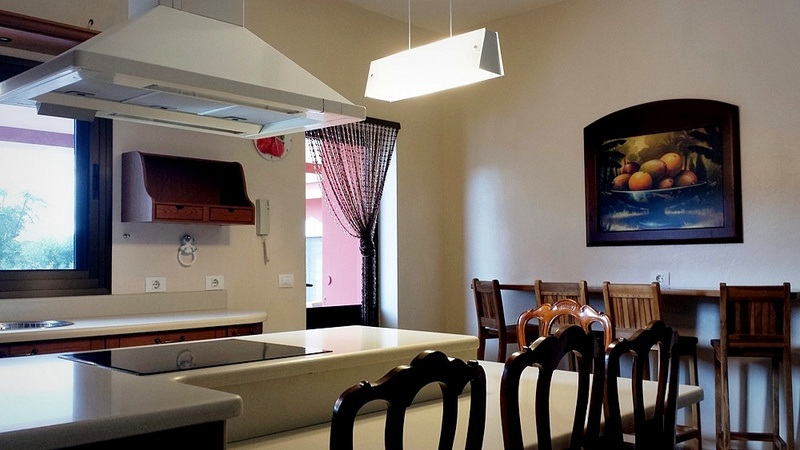 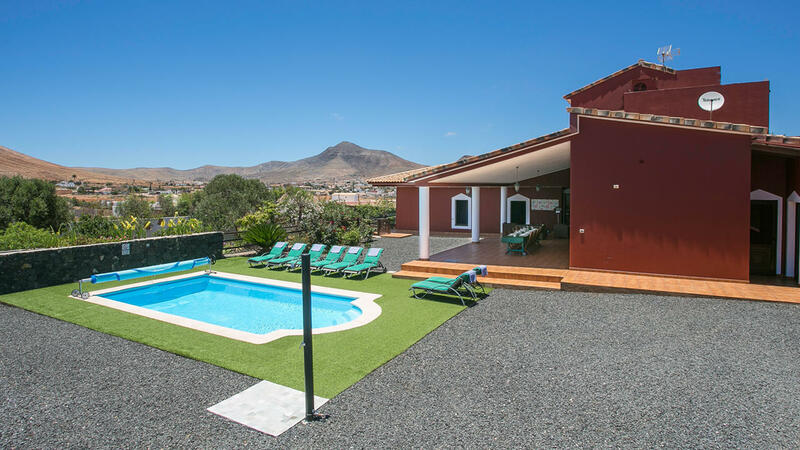 The villa is on sale fully furnished and equipped at the price of 502,000 euro. 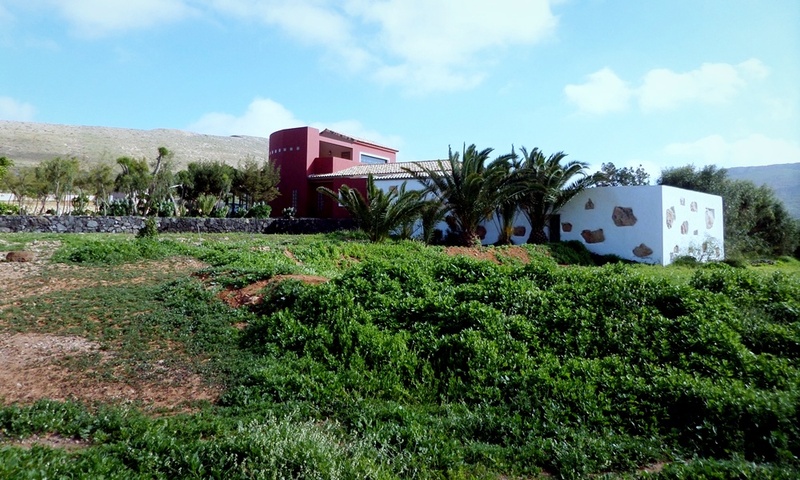 The country of Tetir is about 9 km from Puerto del Rosario, and has one of the most beautiful churches in Fuerteventura, Santo Domingo de Guzman, dating from the eighteenth century. 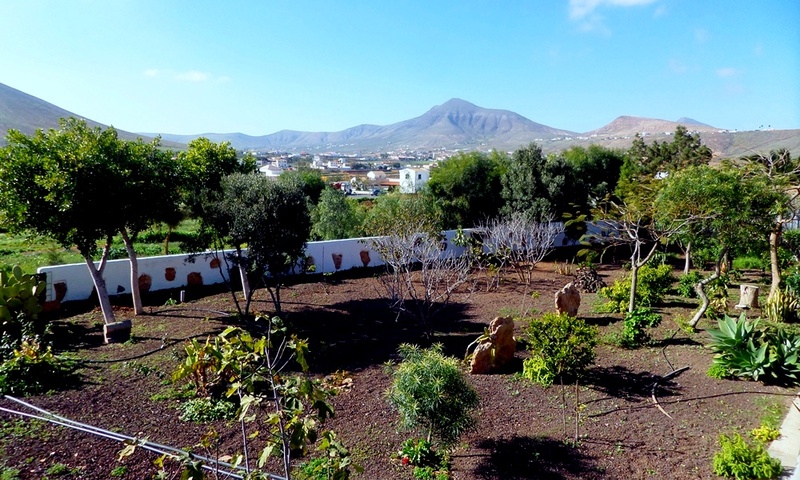 During the first Sunday of each month there is a craft market with local produce, with performances of folklore groups with local music typical canary. 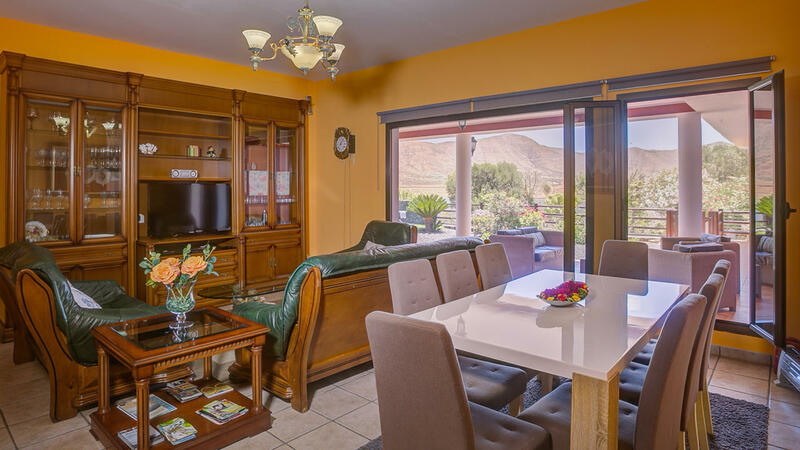 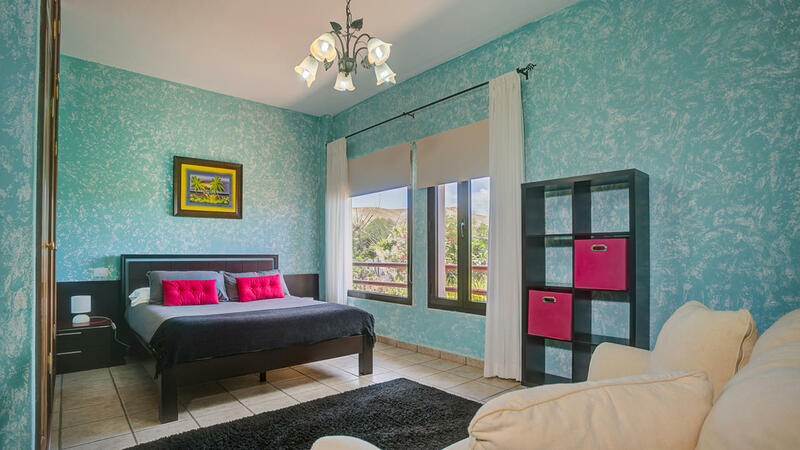 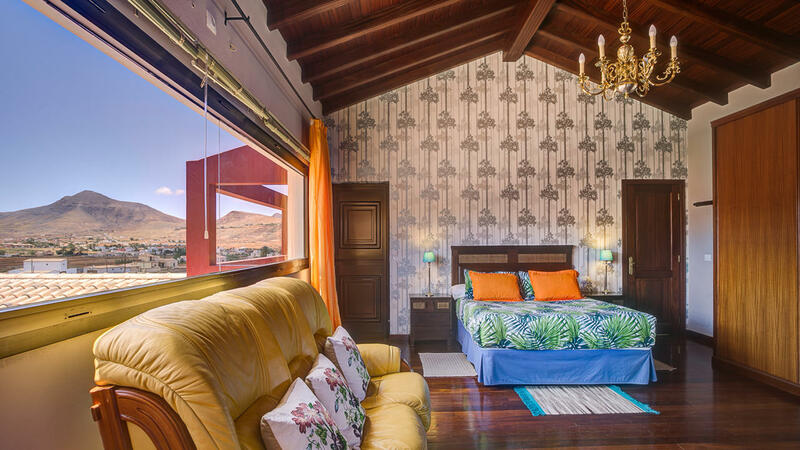 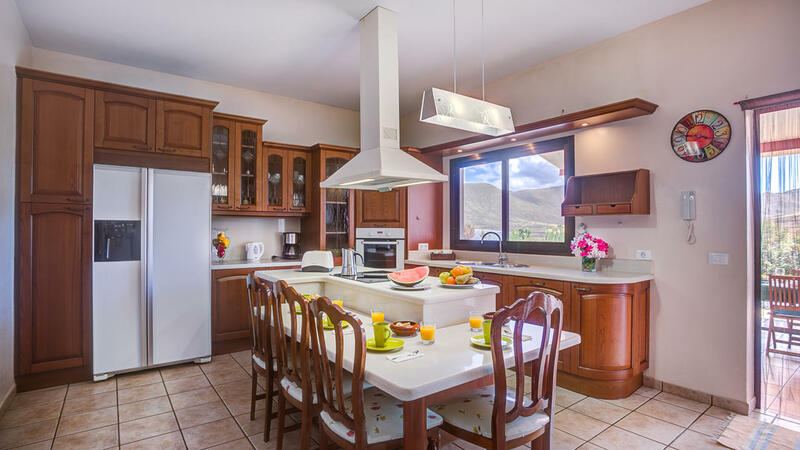 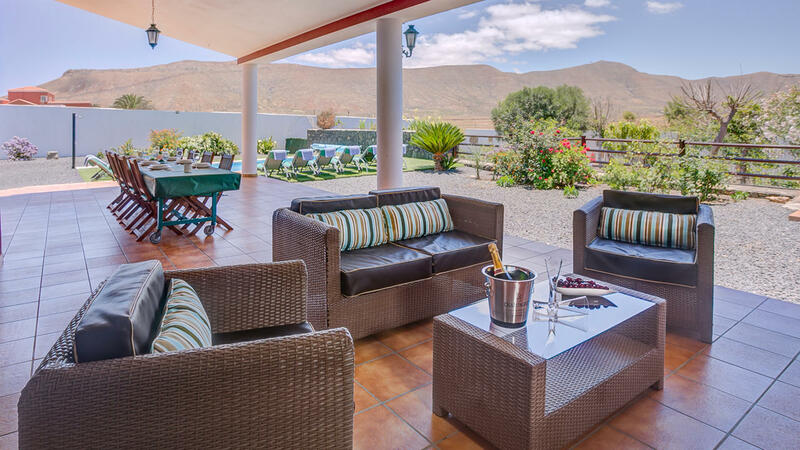 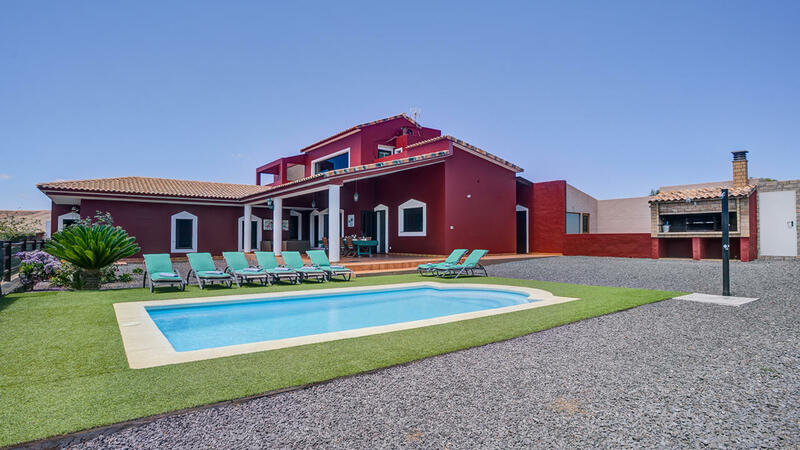 Tetir is a quiet village inside of Fuerteventura, a little apart from the touristic centers, ideal for those who want to live in peace of mind, in a villa or house in the countryside surrounded by nature.